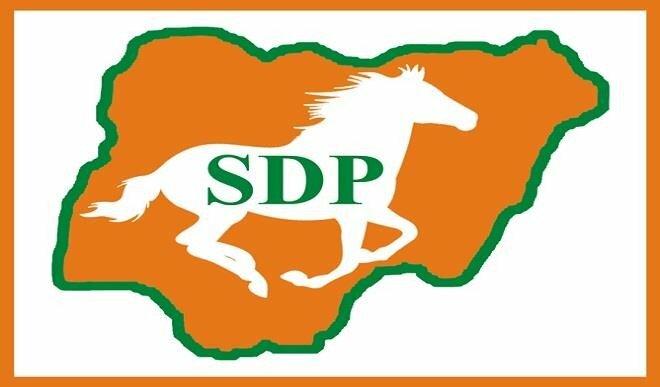 The Social Democratic Party, SDP, has split into two factions in the South-East geopolitical zone. In separate meetings the two factions held in Enugu, weekend, the two factions accused each other of promoting political mischief. The factions led by the National Organising Secretary of the party, Chief Emeka Atuma held their meeting at Utopia Hotel, while the second faction led by the National Vice Chairman, Senator Ebenezer Ikeyina held their own meeting in Tomlyin Hotel, all in Independence layout, Enugu. In a communique signed by the steering committee chairmen of the five states in the zone, the Atuma group said, “The zone resolved to eliminate political infighting and focus on purposeful leadership at the zonal, state, LGA and ward levels. On his part, the leader of the second faction, Chief Ikeyina said that one of the outcomes of their meeting was the party’s insistence on restructuring of Nigeria along six geopolitical zones. He said that in SDP, the party was supreme, stressing that the party was out to enthrone a socialist regime if it wins Nigerian presidency.